The setup, like in all harmony remotes is amazingly simple. You just go to myharmony.com and go through the simple step by step setup. My Harmony One setup wouldn't transfer, so I had to set this one up from scratch, which honestly wasn't that big of a deal. I do miss the multiple buttons that are missing from the One, though. There was a dedicated skip forward button on the One that is missing on the Touch, though this function can be found in the touchscreen options. I personally find the multiple buttons better. The touchscreen does give many options, however. The fact that I can now have 50 favorite channels is actually really sweet. Now the most important aspect, Girlfriend (or boyfriend for the female techies ;), I have no intentions of being sexist in a review) usability. Though I preferred the One's layout and find it much easier to use, she actually loves the Touch much better, she is picking it up as fast of faster than me. She was intimidated by the plethora of buttons and never picked up the One. The addition of touch gestures is really neat, but they seem gimmicky as of now. 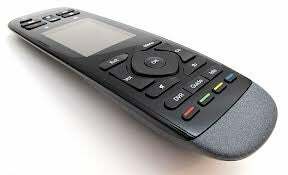 Overall, the remote is damn good, albeit a little too expensive. My GF loves it. I do wish it had a few more buttons like my One, but it I would recommend it if you have 8 or more devices to control like I do. Thanks for reading my review and have a great day.